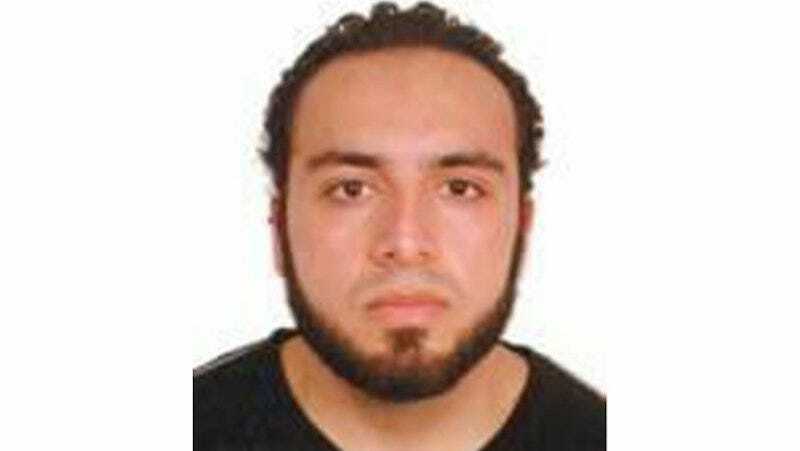 According to reports, alleged New York City bomber Ahmad Khan Rahami was captured by authorities in Linden, New Jersey after shooting at a police officer. Police reportedly found him sleeping in the vestibule of a local bar. Rahami is a suspect linked to several bombs which were left around New York and New Jersey over the weekend—one in Chelsea which detonated injuring 29, another several blocks away which did not, three near a New Jersey charity race which detonated but did not injure anyone, and five left near a New Jersey train station, one of which were detonated by a police robot. Rahami’s name and information were disseminated early Monday morning via an emergency alert which was pushed to cell phones around New York and New Jersey just before 8 a.m.
It’s unclear what injuries the police officer who was shot sustained, but they do not appear to be life-threatening. CNN reports he was shot in the chest but was protected by a bullet-proof vest. Another officer was reportedly injured by shrapnel. A “senior source” tells NBC’s Tom Winter that Rahami is currently en route to the hospital. CNN reports he was shot in the leg.